The Firebase Blog: In-App Messaging, Crashlytics integrations, and more! Oh my! At Firebase, our mission is to help mobile app teams succeed, which means having the capabilities to support companies and teams of all sizes and complexity. In the last couple of years, we've matured significantly, from a realtime database to a full mobile app development platform. Firebase is built on top of Google Cloud, so you get all the technical scale, enterprise-grade access control and management, and machine learning strength that underpins many of Google's products. Today, we're excited to share a few new products and features that will help you build better apps, improve your app quality, and grow your business. Firebase has a number of products to help you engage with your users and grow your business, from machine learning powered targeting with Firebase Predictions, to app optimization without republishing via Remote Config, to re-engaging lapsed users with Cloud Messaging. Today we're adding a new product, Firebase In-App Messaging, to round out the tools available for growing your user base, as well as making improvements to a couple of our existing products. Notifications are a great way to bring users back into your app. But how do you ensure your users are interacting with your app in the right, intended way instead of fumbling between screens without taking any meaningful action? How do you guide them through your app experience? Today, we're launching Firebase In-App Messaging to help you guide app users who are actively using your app by sending them targeted and contextual messages. Now, you'll be able to communicate with your most valuable users - the ones already interacting with your app - and deepen engagement with them by surfacing relevant information, offers, and tips as they use your app! Messages can be customized by format, color, and CTA, allowing you to keep your messages on brand with your app. 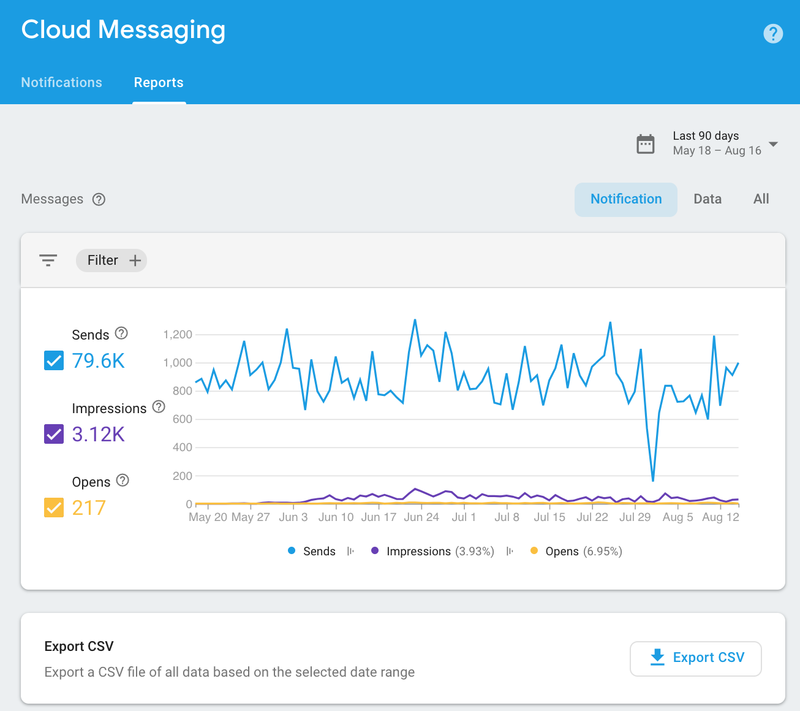 In-App Messaging is also integrated with Google Analytics for Firebase and Firebase Predictions, making it easy for you to target messages based on user profile data like app version, current behavior like a button click, or predicted future behavior like risk of churning. 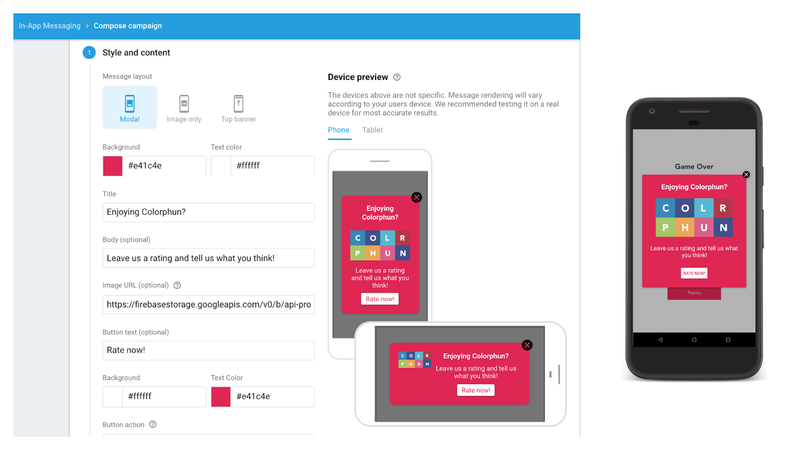 In-App Messaging is starting to roll out today; check out our documentation for more detail. The Firebase Cloud Messaging (FCM) console and APIs let you send notifications and data messages to your users on iOS, Android, and web, but understanding how your notifications are performing across all these different platforms is hard. The new FCM reporting dashboard gives teams a central place to view key messaging stats like sends, impressions, and opens, so they can easily understand how their messages are performing. In addition to aggregating all these statistics, the reporting dashboard also gives you insight into your API sends from the console, for the first time. 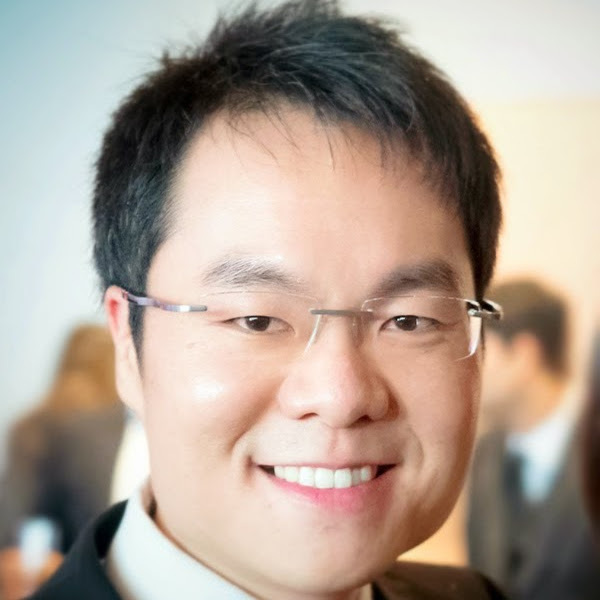 Developers can use this information to monitor the health of their notification functionality, such as a dip in sends after the release of a new update, as well as use insights on notification sends and opens to improve notification strategy, like monitoring how the title of a notification impacts open rates. The FCM reporting dashboard allows you to filter sends by date, platform (iOS or Android), and type (data message or notification), making it easy to find the data you're looking for. Previously, if you wanted to check what Remote Config values you've used in the past, you had to keep track manually. In one-person teams this is a hassle, but for large teams, where lots of different developers could be changing the project's Remote Config at once, this was nearly impossible. Today, we are happy to announce that we're adding change history to Remote Config. Firebase saves 300 versions of a project's Remote Config for up to 90 days. You'll be able to see how parameters and conditions have changed over time and if you ever want to roll back to a previous version, all you have to do is click the rollback button. We're beginning to roll out change history for Remote Config today and it will be fully available to all projects in a couple of days. Click here to see the technical documentation. When the Fabric team joined Firebase last year, we were very excited to learn from their expertise in building tools for crash reporting and debugging. Over the last 18 months, we've made big steps to make Firebase into a platform that you can use to improve your app quality, including bringing Fabric's Crashlytics to Firebase. Today, we're excited to announce a number of improvements to Crashlytics, that help it integrate better with existing tools that developer teams use. We've heard from you that you rely on a variety of different tools to make your business successful. We want to meet you where you're already working and empower you to use the best tool for the job. That's why we're launching a couple of new integrations for Firebase Crashlytics. First of all, you'll now be able to export your Crashlytics data from Firebase to BigQuery, allowing you to run your own analysis on deobfuscated crash reports, including any metadata such as custom keys and values, logs, and user IDs. You can then visualize data and view trends with Data Studio or any other business analytics tool you use. You'll also be able to take ownership of your data in BigQuery by setting your own retention and deletion policies. Secondly, we're launching an integration with Jira Software that allows you to create Jira issues based on crashes reported in Firebase. Combined with the existing integration with Slack, your team can now track the crashes they are working on, with tools they already use. The Jira integration will be rolling out over the coming weeks and if you want to manage your Firebase integrations now, you can visit the settings tab in the console. Core to Firebase's DNA are a set of products that help developers like you build mobile backend infrastructure quickly and easily. After all, it began with a Realtime Database. We've been working closely with Google Cloud Platform to build a next generation of serverless backend tools, like Cloud Firestore and Cloud Functions, and we're continuing to improve on those products. 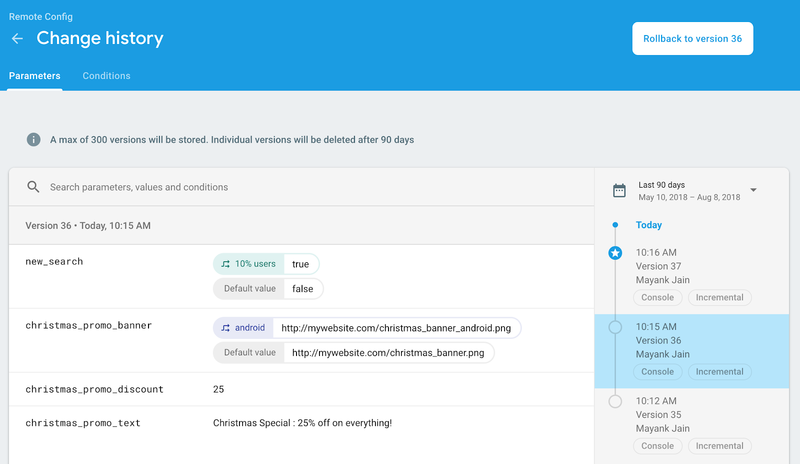 We're also launching a couple of enhancements to Firebase Hosting that we hope will help you build websites more efficiently. A few weeks ago at Cloud Next 2018, we introduced a number of improvements to Cloud Firestore and Cloud Functions for Firebase. Cloud Firestore now lets you scale your database up to 10,000 writes per second and 1 million concurrent users to handle any surges in traffic. Cloud Functions is now GA and ready for production use -- with predictable service guaranteed by an SLA. If you're looking to build your infrastructure in certain parts of the world, both Cloud Firestore and Cloud Functions will be supporting new regions in Europe and Asia over the next few months. Another piece of feedback we've consistently heard is that you don't always have a one-to-one relationship between Firebase projects and hosted websites. Over the next couple weeks, we'll be rolling out an improvement to Firebase Hosting that allows you to host multiple websites within one project. Additionally, when pushing an update to a site, the Firebase CLI (from v4.1.0) now only uploads the files that have changed between releases. This dramatically speeds up the process, letting you work more efficiently. 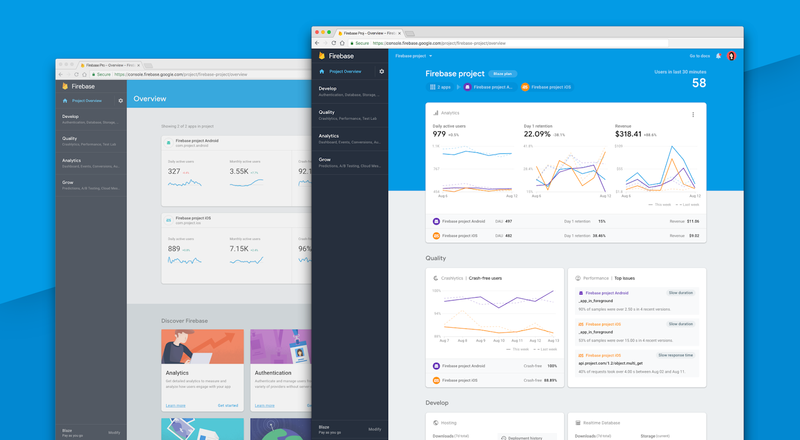 The Project Overview page in the console has received a major update, bringing together data from all different parts of Firebase to give you a single view into the health of your app, services and business. In addition to the analytics and crash data that's always been present you can now view performance issues, notification and A/B test status, and the usage and health data for other Firebase services like Functions, Hosting, and Storage, among others. You'll also notice that the Latest Release section of the console will now have live data. This was one of our top requested improvements to analytics in the console and we're excited to be able to provide it for you. All of these improvements are beginning to roll out today and will be available to everybody within a couple of weeks. Thank you, as always, for being a part of the Firebase community. We strive to create a community that is welcoming to developers of all backgrounds and companies of all levels of sophistication. Your feedback and questions are invaluable in shaping the future of Firebase, so, as always, you can find us via any of our support channels. If you'd like to meet the team in person, please join us at the annual Firebase Summit on October 29th in Prague, Czech Republic for a day full of technical sessions, hands-on instructor-led codelabs, and another round of new updates. Hope to see you there!